A French Perspective » Discover France » Allez les Bleus ! 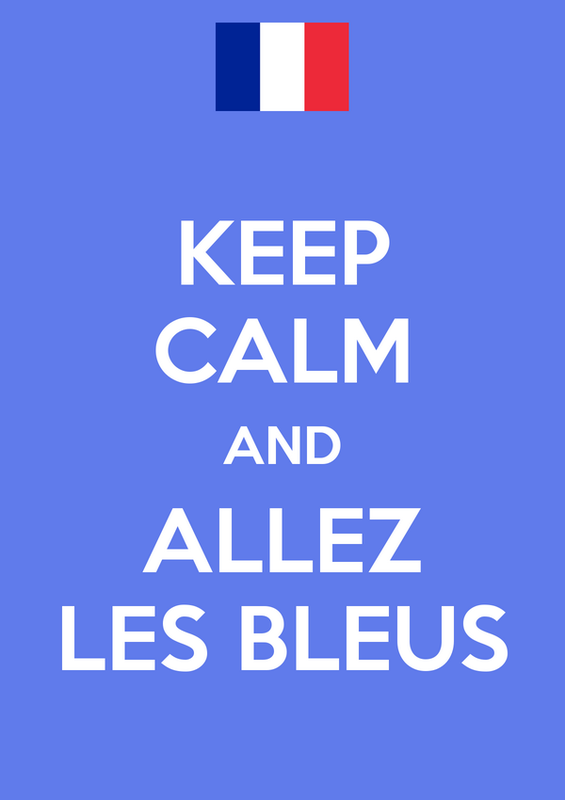 As a reminder “Allez” means GO and “Les Bleus” is the way French refer to their national team, weather is football, rugby etc.. due to the color of the official tee-shirt they play in. Also, blue is one of the main national flag’s colors and, historically, as always represented France since the “Fleur de Lys” on the Royal emblems. Blue colors, coqs, berets, and Gaulois (Asterix compatriots) are some of the characters French fans will be representing tonight in Brasil! Do not miss this game! So far, I would like to you to get in a mode with my favorite Official World Cup song ever written for the French team! It was composed in 1986 for the Mexico World Cup but, I still, think it is the very best melody to get in the mode! Viva, viva, viva les Bleus!